In last week’s blog we highlighted Abby Miller of Des Moines Acupuncture Clinic. This week, we are pleased to feature her associate, Stephanie Braunwarth. Stephanie is a great fit for DMAC and a great asset for the community. Stephanie moved to town just about the same time Capital Chiropractic was opening. And, just like Abby, she welcomed us warmly to town. Check out her answers to our interview below. Her passion for acupuncture is evident and her approach to the profession is unique. When and how did you decide to pursue acupuncture as a career? I became interested in living a healthier lifestyle in high school, but really dove in after I had a kidney removed at age 20. Due to anatomical issues, the surgery could not be prevented, but I realized that what I did with my health from there on out was up to me. I put healthy food in my body and exercise regularly, and after the surgery I started to become more interested in holistic medicine to improve the function of my body. I met an Acupuncturist by chance and she let me observe in her clinic. I was amazed that by looking at a person’s tongue and feeling their pulses she could determine the best acupuncture treatment for them. She was treating the root cause of the person’s symptoms instead of prescribing medication, and that intrigued me. I decided I had to become an Acupuncturist after that experience. The more difficult question would be, “Who doesn’t need acupuncture?” The benefits of acupuncture span to so many health concerns. We treat a wide variety of conditions at the clinic, acute injuries as well as chronic conditions. Acupuncture helps bring the body back in to balance. Just one symptom is a sign that the body is out of balance. By increasing circulation to areas of the body that need healing, it doesn’t matter if it is low back pain or a thyroid condition, for example, there is a good chance acupuncture can help. At least 80% of all health issues are caused by stress. Acupuncture reduces stress hormones in the body so that the symptoms caused by stress disappear. Acupuncture can’t change the stressors in one’s life, but it can change how the person responds to stressful situations, and how long they stay in fight or flight mode. I also have a special interest in women’s health and fertility issues. Whether women are trying to conceive naturally or with the help of Assisted Reproductive Technology, acupuncture can increase the chances of conception, keep mom and baby healthy throughout pregnancy and assists in smooth labor and delivery. We also see new moms post-partum as acupuncture has wonderful benefits for breastfeeding (low milk supply, clogged ducts, etc.) and helps balance the hormonal shifts that happen after baby arrives. Not to mention reducing the stress a new mom feels on a daily basis. With the growing acceptance of Oriental and alternative medicines, has your relationship with physicians in our community changed? How? Absolutely. Due do the large number of studies on the efficacy of acupuncture, more physicians are referring their patients to acupuncturists. Western medical professionals want to know that the medicine is backed by research, even though it has been practiced for thousands of years. 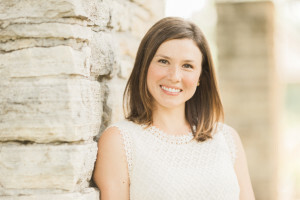 Also, the founder of our clinic, Abby Miller, has been a practitioner in Des Moines for 15 years and has developed a reputation for producing great results. We have patients that share with their doctors, nurses chiropractors, massage therapists the benefits they have received from acupuncture, and that is powerful as well. When a patient has experienced life-changing benefits, they want to share that with family and friends. You mention “needles”, and most people aren’t exactly comfortable with that. Usually, though, the person is thinking the needles are similar to those used when administering vaccinations or IVs. Acupuncture needles are about the diameter of a hair on your head and aren’t hollow like the intradermal ones. People are also concerned that it is going to hurt. After the first needle is inserted that fear disappears. We have a lot of patients that come to our clinic after they have tried “everything else”. They are scared, vulnerable and sick. We realize this and make things comfortable and as easy as possible for the patient. Our clinic environment is quiet, cozy and relaxing. We pride ourselves on heart-centered care and use the art of listening as well as open communication with our patients. What do you love most about Des Moines? The people! My husband and I moved to Des Moines two and half years ago from the Twin Cities area. Before moving, a friend told me the nicest people she has ever met have been from Iowa. She was right!